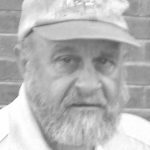 ODELL – Donald J. Kohl, Sr., 67, of Odell passed away Wednesday, August 3, 2016 at 8:05 p.m. at Advocate BroMenn Medical Center in Bloomington. Donald was born September 19, 1948 in Joliet, son of Donald W. and Mary Bires Kohl. He is survived by his ex-wife, Sandra Welsh of Odell; his children: Donald J. Kohl, Jr. of Bloomington; Heather Kohl of Pontiac; Yvonne Thweatt of Odell; Lisa Bohm of Pontiac; and Teresa (Angelo) Cassani of Dwight; and a sister, Mary Lou (Paul) Nowatski of Peach Tree City, Georgia. Cailee, Tylor, Tate and Kiah; one great-grandchild, Mav; and special friend, Cayleigh. He was preceded in death by his parents; his twin sister, Donna Kohl at birth; and one son-in-law, Robert Haag. Park and served in the National Guard. He was Livingston County 4-H Fair for many years. He Greatly enjoyed hunting, fishing, and slow drives through the country. His memorial visitation was held Sunday, August 7, from 4 until 7 p.m. at Duffy- Baier-Snedecor Funeral Home in Pontiac. Cremation rites were accorded. memorials may be made to the Livingston County 4-H Fair Association, P.O. Box 229, Pontiac, Illinois 61764. On-line condolences may be made to the family at duffyfuneralhome.com.